Welcome India Emporium!!! : Here’s Why I Chose To Go The Latest Kurta Pajama Style Way! Here’s Why I Chose To Go The Latest Kurta Pajama Style Way! Let me be very honest with you – my fiancé is quite the looker and he is extremely successful in his professional life, but when it comes to style, he is not the fastest horse in the race. As a matter of fact, he is someone who often fails to coordinate his day to day clothes! There have been so many days, when he has gone out, wearing an attire that makes no sense. His own family told me more than once, that it was only after he met me that his dressing sense started getting better, because many a times, I would pick out the clothes for him and of course, I was accompanying him for most of his shopping trips. So, when our wedding date was fixed, I knew that while I had to work on my own wedding trousseau, I also had to put in the same amount of effort for his wardrobe too. Now, let me tell you a little bit about my fiancé – like I told you earlier, he is a good looking guy, but he is not the type who will spend a lot of time fussing over his clothes or even the way he looks. He is the type of guy who wants to be dressed and out within minutes, which is why, I knew that when I was creating his looks for the wedding, they had to be simple and hassle free. 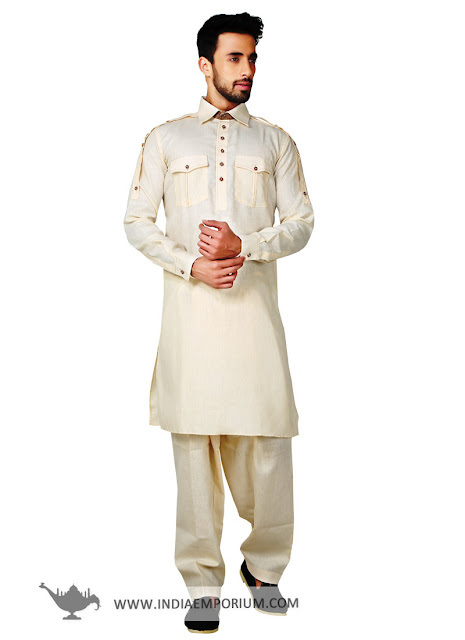 I knew from the beginning that even though dhoti kurta for men is a great choice for weddings, it would not work with my fiancé, because he would never be willing to spend the time it takes to wear a dhoti! While there are those who would think that there are not a lot of options when it comes to clothing for men, the fact is that there are just as many options as there are for women (well, maybe not as many as for women, but there are quite a few choices). We were going to have three main ceremonies – the sangeet, the wedding and the reception, and I knew that I had to get my fiancé at least those many outfits, along with a few more, which he could use at any point in between the wedding functions. Our wedding was going to be at the start of the summer season, which meant that he needed clothes that were ideal for that weather. So, while a proper suit would be a great choice for the reception, given that the event was going to be in the evening and it would be reasonably pleasant, most of the other events would happen during the day time. 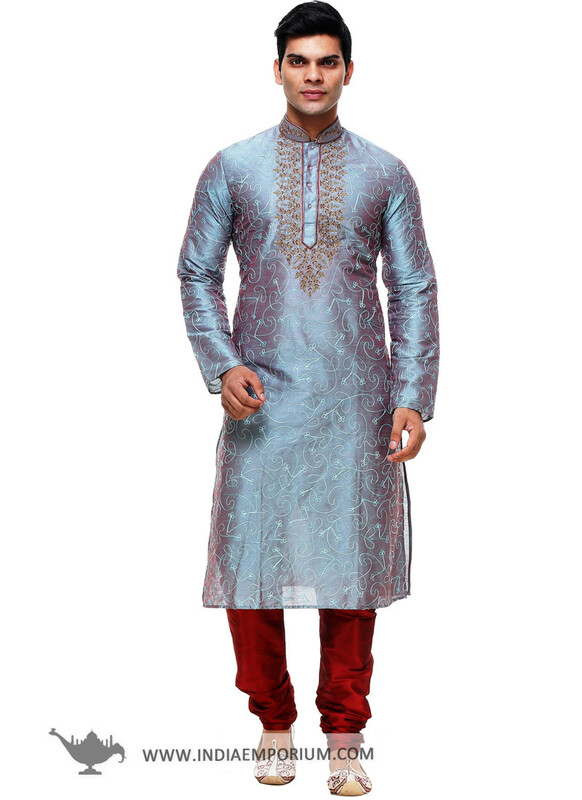 Although a kurta pajama for wedding might not be the ideal choice, it turned out to be a brilliant option for all other occasions, including the in-between times. For the sangeet, which was also the mehndi function for me, I decided to colour coordinate. So, while I was dressed in a pale pink kurti and long skirt, I chose a pale pink cotton kurta with an off white pajama for my fiancé. Not only did he look cool and comfortable in it, the photos came out incredible! The next morning, I had my set of functions at home, but my fiancé had kind of a day off, because the wedding was taking place the next day. Fortunately, I had picked out a range of fashionable kurtas, which my fiancé was able to enjoy wearing and was able to carry out with flair. As a matter of fact, I intentionally chose kurtas that he could team with pajamas as well as jeans, so that he could mix and match them later on as well. Seeing the comfortable kurtas I had chosen, my fiancé did wonder why he couldn’t have a designer kurta pajama for wedding too, but I convinced him that for the D-Day, he would have to wear a sherwani. Although not very happily, my fiancé did get all dressed up in his spectacular peacock blue sherwani, complete with a real peacock feather in his turban. 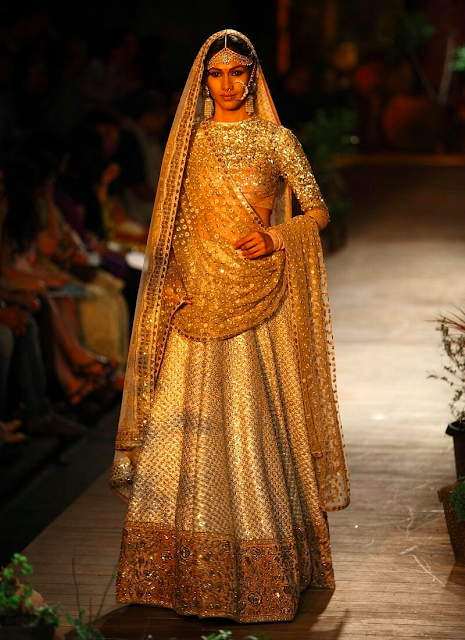 And I have to say that it worked so well with my peacock blue and green and gold lehenga, which had peacock feather motifs all over the skirt. Everyone who looked through our wedding album told us that they loved how coordinated our outfits looked and how nice we looked together. I don’t know whether it is because of me or not, but my husband is now hooked onto kurtas and he loves wearing them to all occasions. 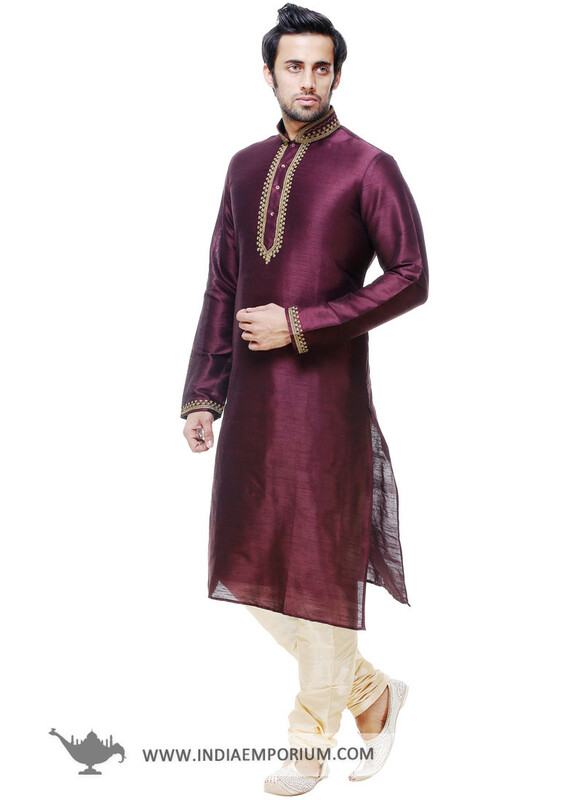 He is constantly looking for an excuse to wear a kurta and he now knows how to work them – so, if it is traditional day at office, he will team a kurta with jeans or chinos, and when it is a pooja at a family friend’s house, he will wear it with a pajama. As a matter of fact, he is already looking forward to the next family event or traditional occasion, because he wants to flaunt his new kurta pajama with jacket!